Personalized Compliance Seminars, Consulting, and Training – onsite or via the web. 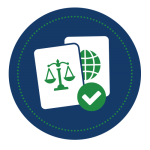 Evaluate and analyze your current compliance program and policies in regards to import and export transactions. Provide gap analysis to implement procedures minimizing risk and increasing company efficiency.